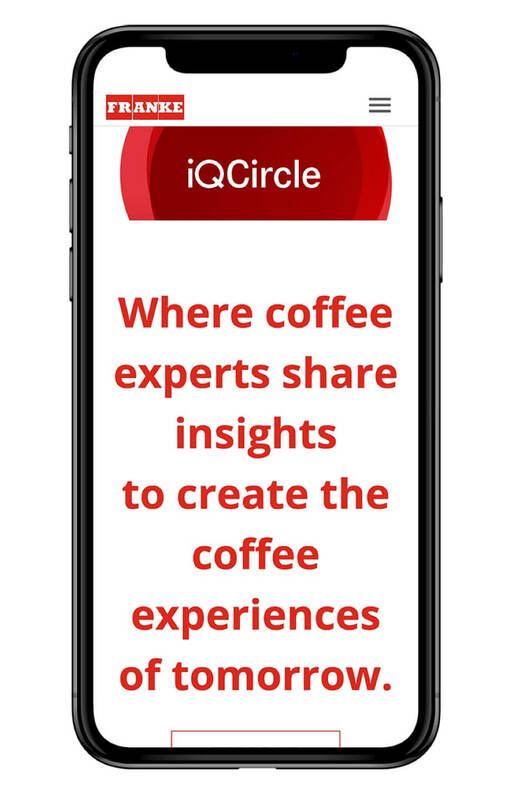 The concept of iQCircle revolves around a community of people with a singular passion, making great coffee. 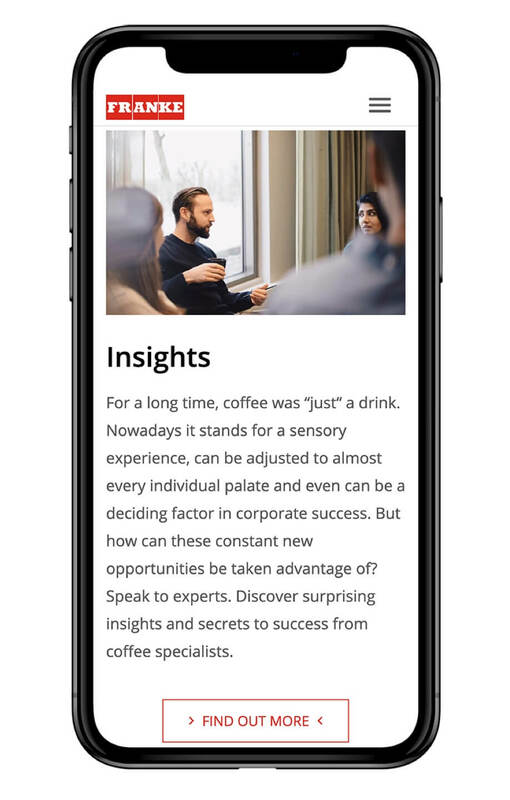 It gives like-minded individuals the opportunity to come together to contribute their own content and opinions both digitally and physically. 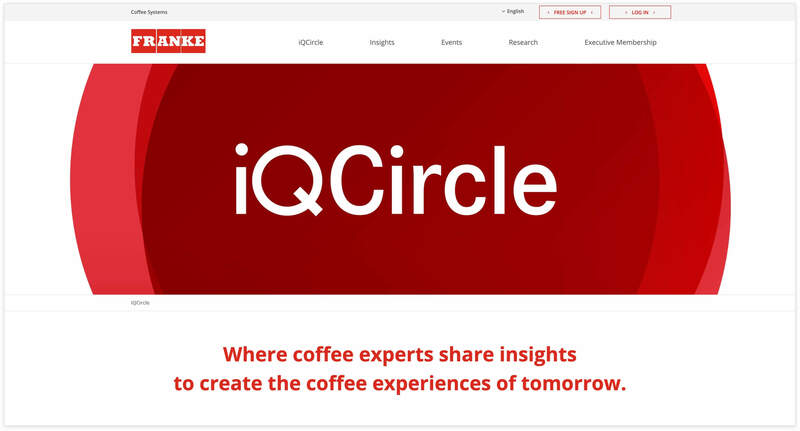 Members will use the website to learn more about the art of coffee making. 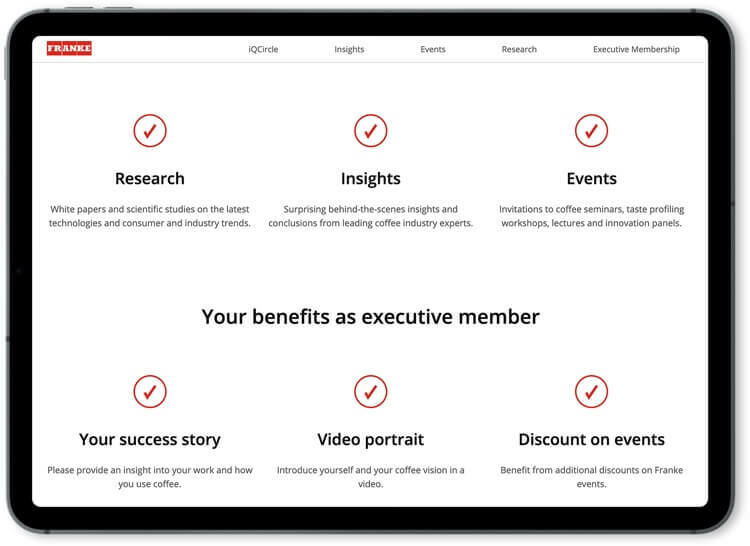 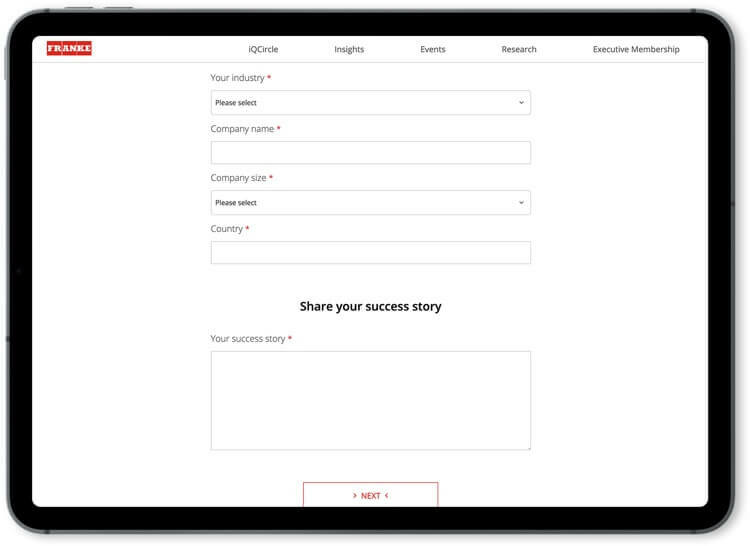 Highly-engaged users can apply to become executive members and submit their own content as research or insight. 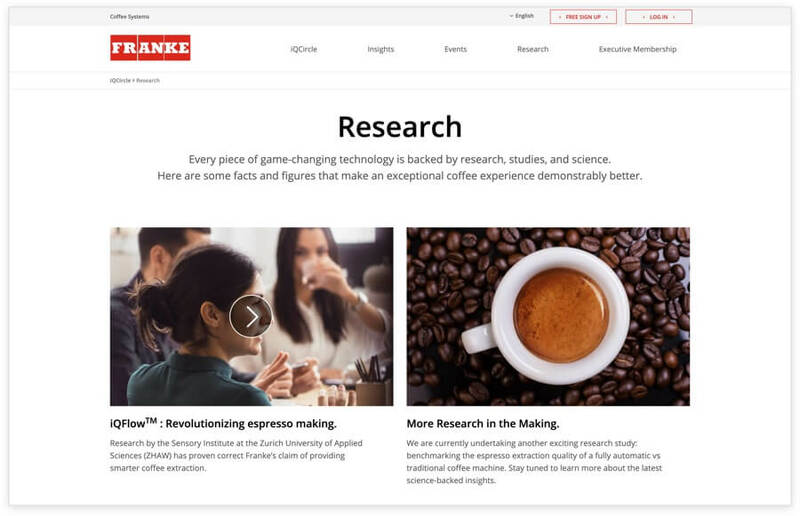 User generated content is subject to a curation process by which the community administrators ensure only high quality content is made publicly accessible. 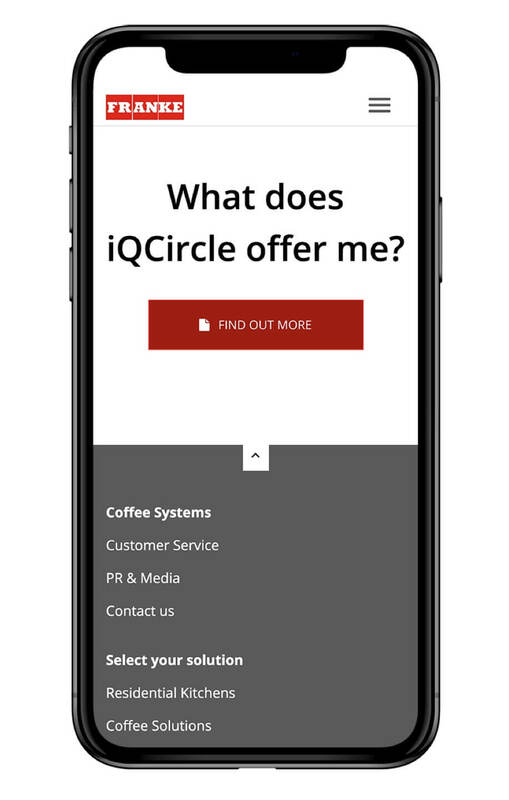 Members of the iQCircle can participate at different community conventions, workshops and seminars. 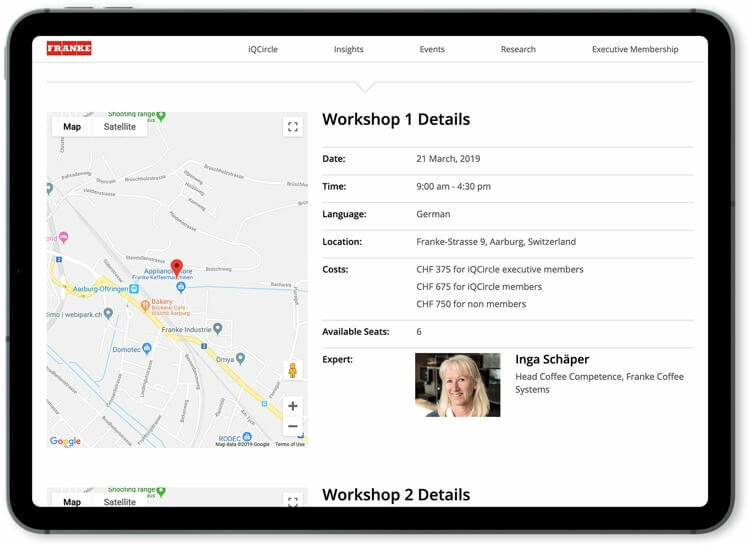 These events are created and managed through an event management module that supports pricing, attendance management, promotions, personalized invitations and various other features relevant to community activities. 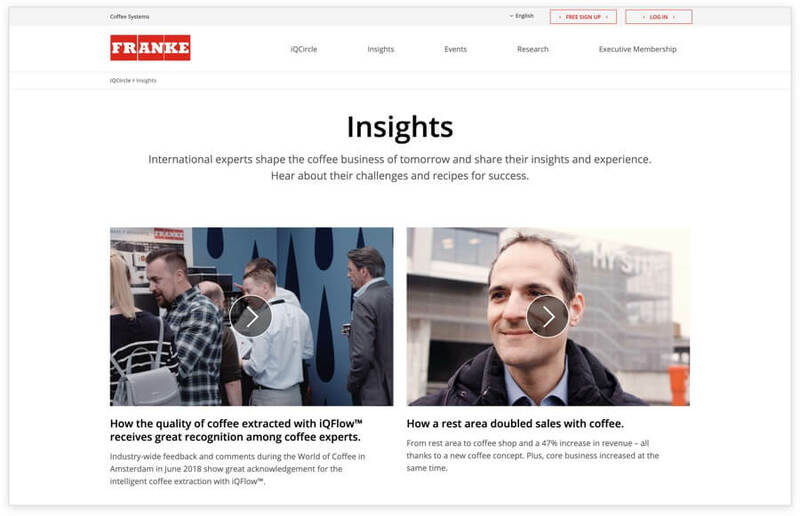 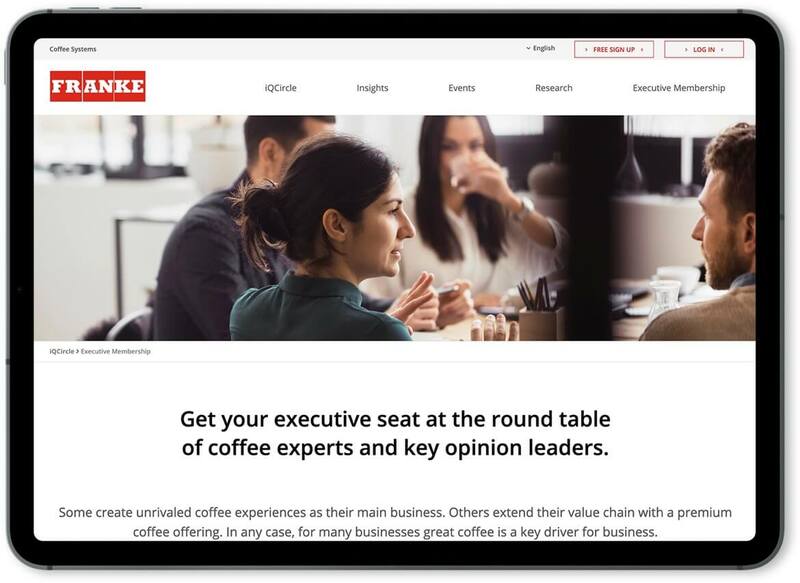 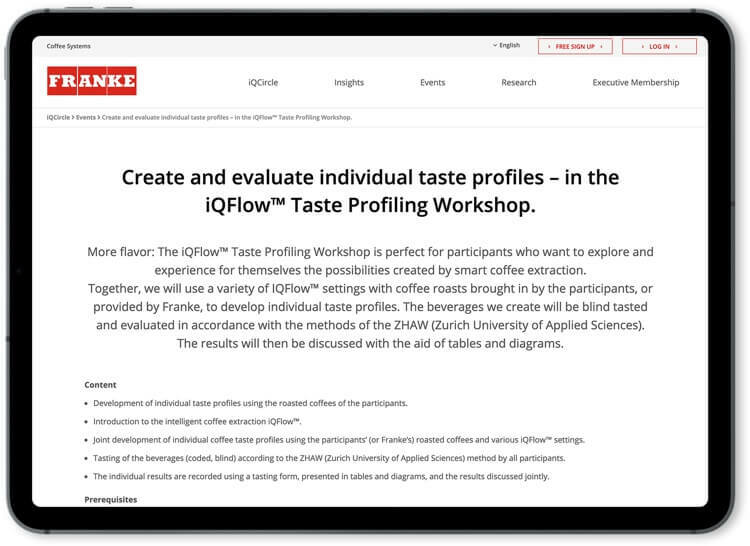 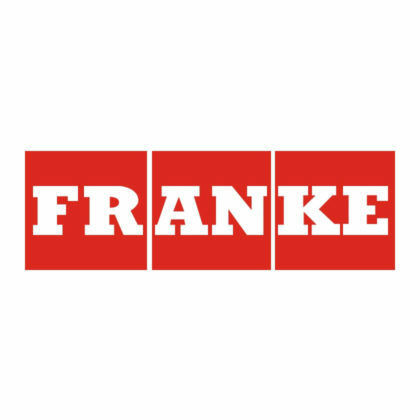 Franke Coffee Systems chose SELISE Creative to build their iQCircle website. 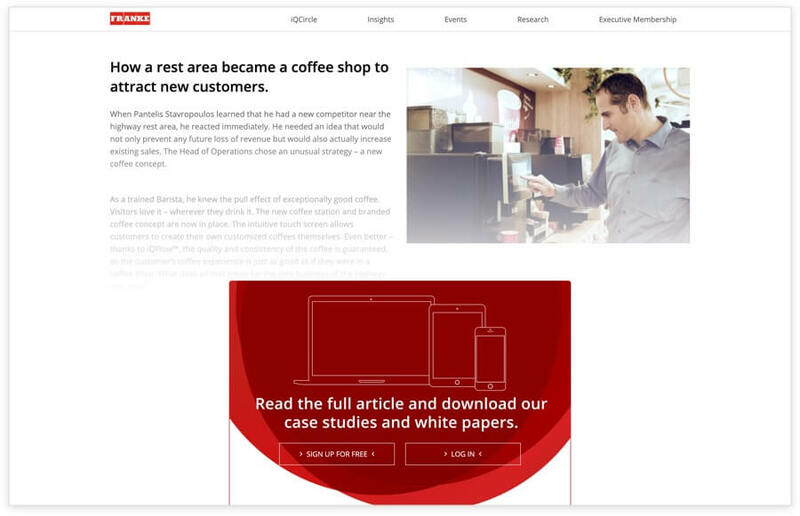 The website was built on WordPress, powered by an enterprise architecture, and is optimized for all kinds of devices and resolutions. 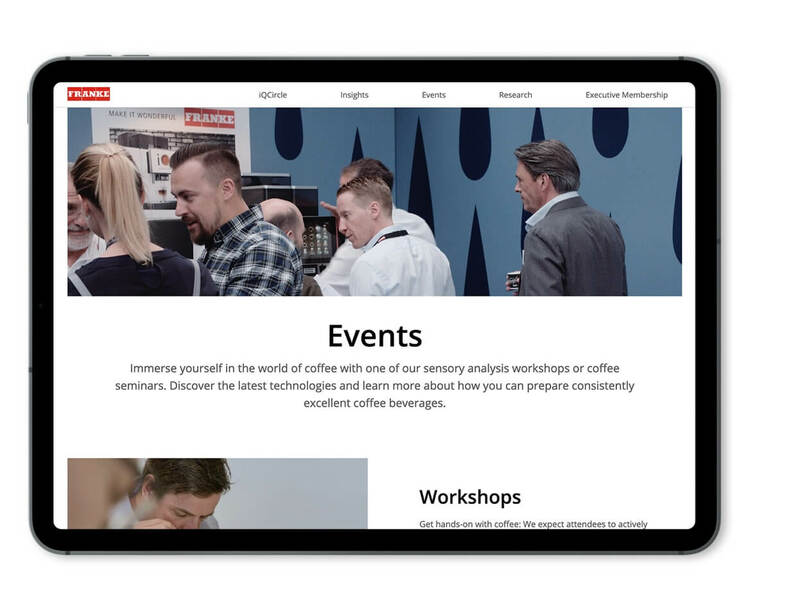 Both the staging and production websites were deployed on Azure using Blob and Azure SQL for WordPress. 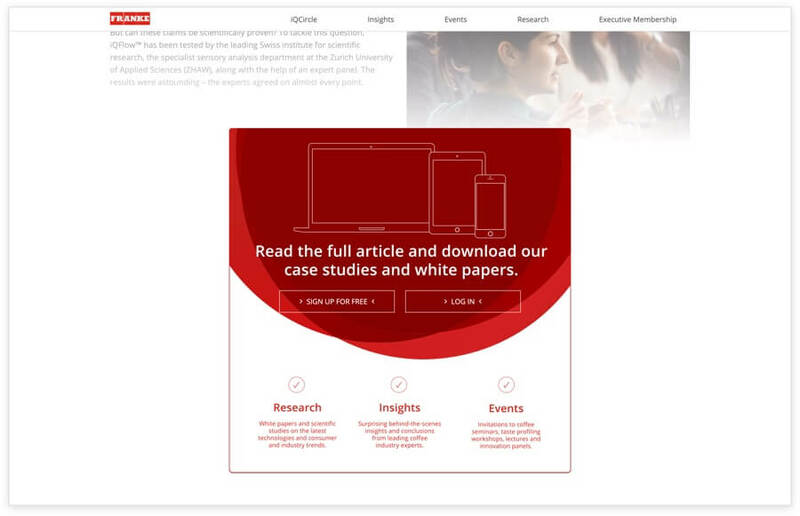 To further power the community it is integrated with Media Services, CDN, and Media Player.